Personalize your matchbooks with your preferred box & imprint color along with a fun message of your choice. 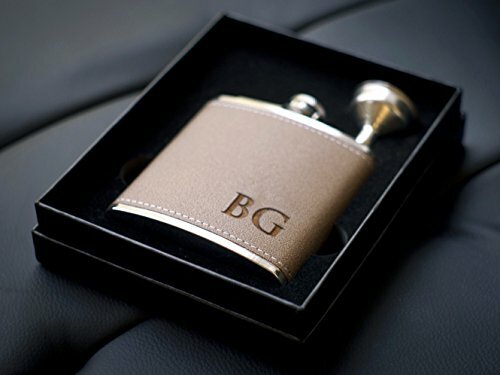 Jazz up your wedding favors with these fun accessories. 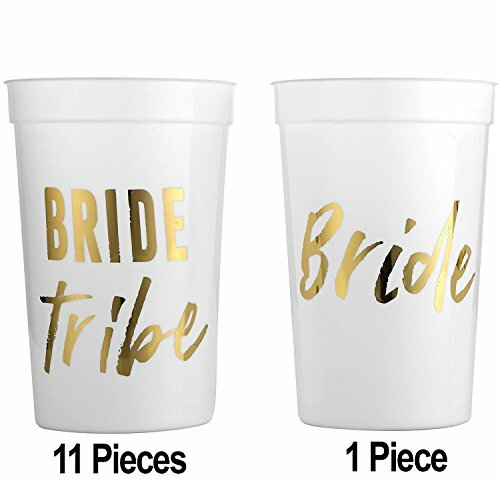 They can also be used as an affordable take-home for guests attending an anniversary party, New Year's Eve party or birthday party. / / DETAILS / / Size: 2" 3/16 x 1" 3/8Over 70 Colors to choose from (see photo for color samples) Over 50 Foil Colors to choose from (see photo for color samples) READY TO ORDER? You will be prompted to include your personalization details on the right hand side when you choose your quantity of matchboxes--Rush Order? Please contact us first to discuss your date! --This design can also be done a wide variety of items including: Napkins, Cocktail Stirs, Drink Coasters, Favor Bags, Tags, Menu's and Invitations. 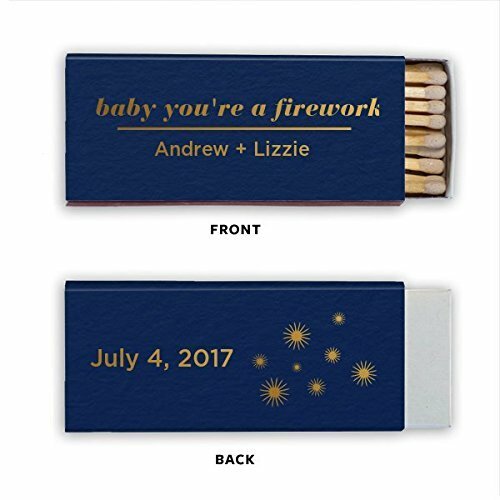 Matches - Celebrate your wedding with these fun custom matches! Our Personalized Matchboxes are quite the party revelers! 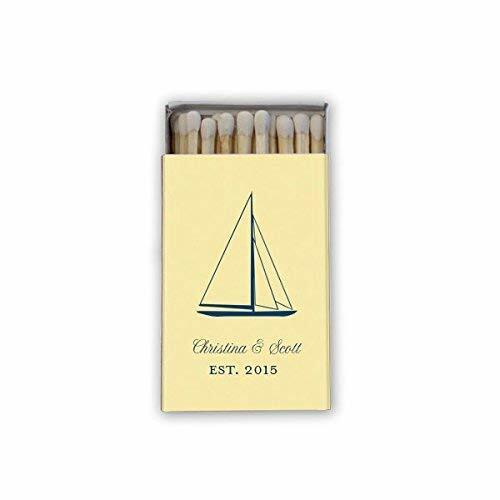 These elegant matches have 3" long match sticks inside. Our custom matches will complement your event and make a lasting impression. Whether you want to include a quote, a fun fact or a saying, the sky is the limit with turning these matches into personal tokens. Spoil your guests and add beautiful accents to your theme. These accents will bring your décor together, and your guests will be raving about them! / / DETAILS / / Size: 2" 3/16 x 1" 3/8 (22 matches in each box)Over 70 Colors to choose from (see photo for color samples) Over 50 Foil Colors to choose from (see photo for color samples) READY TO ORDER? You will be prompted to include your personalization details on the right hand side when you choose your quantity of matchboxes--Rush Order? Please contact us first to discuss your date! --This design can also be done a wide variety of items including: Napkins, Cocktail Stirs, Drink Coasters, Favor Bags, Tags, Menu's and Invitations. This delicate porcelain mini dish can hold a ring or small jewelry. 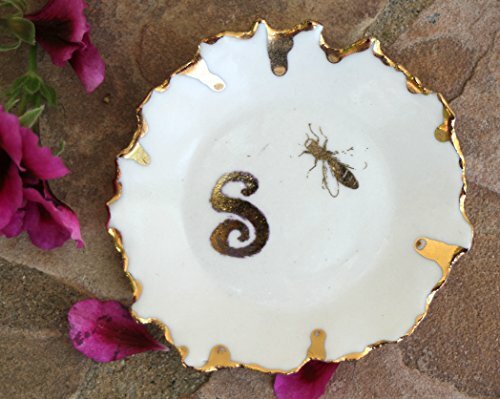 Made from frosty white porcelain, personalized with the letter S and highlighted with real gold overglaze and a real 22 karat gold luster vintage bee decal. The dish is about 3.5" (8.9cm) wide and quite thin, enhancing its delicate nature. Food safe glaze. Due to the delicate nature of the real gold overglaze, only hand wash is recommended (no hard scrubbing). Not microwave safe. 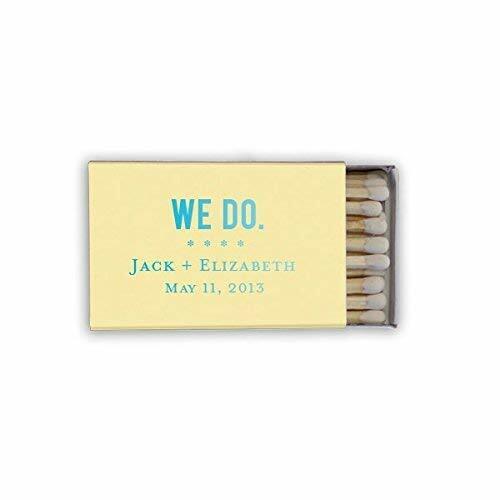 Personalized Matches are a useful favor that guests can use during the event or at home. Wedding matchboxes come in a white box and can be customized with your choice of design theme and your names and date or two custom lines. Consider putting a bowl of matches out at the cocktail bar or at a cigar bar. / / DETAILS / / Size: 2" 3/16 x 1" 3/8Over 70 Colors to choose from (see photo for color samples) Over 50 Foil Colors to choose from (see photo for color samples) READY TO ORDER? You will be prompted to include your personalization details on the right hand side when you choose your quantity of matchboxes--Rush Order? Please contact us first to discuss your date! --This design can also be done a wide variety of items including: Napkins, Cocktail Stirs, Drink Coasters, Favor Bags, Tags, Menu's and Invitations. Our Signature Bar Scented Soap set trio bar box scented with Freesia. 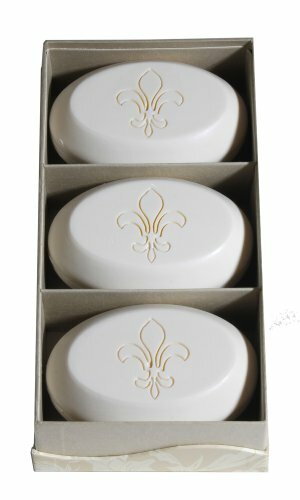 These soap bars are engraved with a Fleur De Lis graphic. Freesia- our antique white soap - A very feminine, powdery floriental blend built around a centerpiece of wild freesia, popular in floral bouquets. The floral elements of rose, jasmine and lavender are combined with soft vanille, sandalwood and clove. This Signature Scented Soap Set makes a perfect gift for a variety of occasions and events like: bridesmaid's gifts and favors, wedding favors, engagement party gifts, gifts or the mothers of the bride and groom, bridal shower gifts, baby shower gifts, anniversary gifts, birthdays, graduations, congratulations, thank you gifts, mother's and father's day gifts, and of course any holiday celebration like Christmas, Thanksgiving, Easter, and more. Their uses are limited only by your imagination! 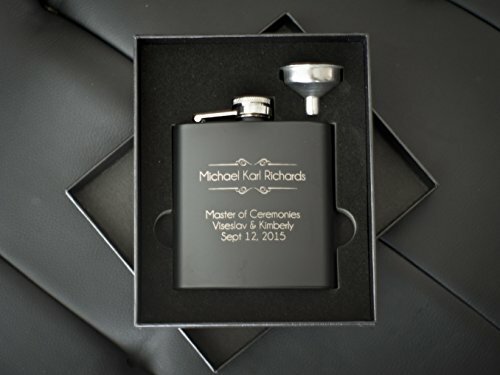 Looking for more Monogrammed Favor Boxes similar ideas? Try to explore these searches: Define Creme, Ex Officio Convertible Nomad Pant, and Cable Fuse. Look at latest related video about Monogrammed Favor Boxes. Shopwizion.com is the smartest way for online shopping: compare prices of leading online shops for best deals around the web. 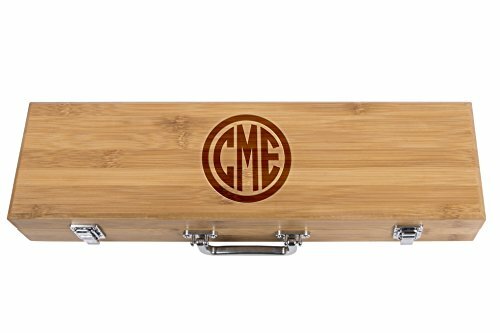 Don't miss TOP Monogrammed Favor Boxes deals, updated daily.